14 x 14 cm greeting card. Includes a kraft envelope. La La Land greeting cards are printed on 270gsm snowboard, which is a traditional postcard stock coated on one side to ensure bright, vibrant images while providing and easy writing surface on the uncoated side. 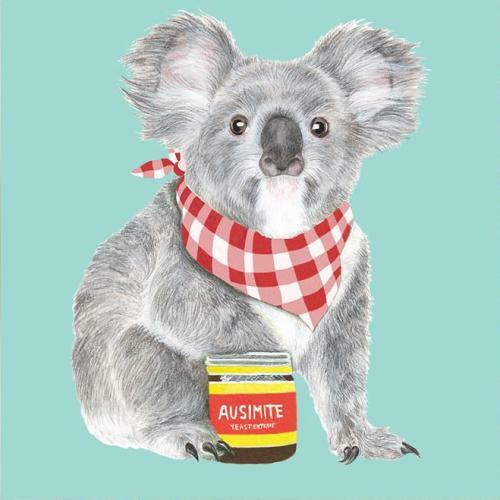 All of our greeting cards are made in Australia and finished with a matt laminate for a luxurious feel.